Star Wars under Disney has quickly become another one of those film franchises that seems be ever expanding with no end in sight. Not only did the 2015 The Force Awakens kick-off the continuation of the main story line, but also Disney’s plans for multiple individual movies set in the galaxy far, far away that would shed light on various characters and events referenced in the original movies. First came Rogue One in 2016, and now following at the heels of previous year’s The Last Jedi premieres Solo: A Star Wars Story, which recounts the early life and adventures of young Han Solo. To film music fans, the most exciting aspect of these films year after year is of course the score, which thanks to the high standard and pedigree of maestro John Williams’s Star Wars music has always the promise to be something extraordinary. 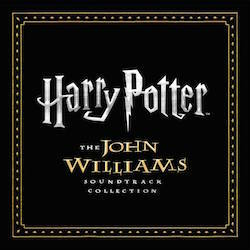 John Williams – whose iconic music for the series is basically now in the very DNA of Star Wars – has been very keen on finishing his historic 9 film saga which sees its conclusion in 2019, but has also chosen due to his still very busy schedule to bow out of these intervening ”smaller” Star Wars Story films. Michael Giacchino provided the score for Rogue One in 2016 and now John Powell was brought onboard to compose the music for Solo. Although Williams didn’t play any part in the actual musical production of Rogue One, this time around the inestimable maestro agreed to pen a brand new theme for young Han Solo, dubbed The Adventures of Han on the soundtrack album, while John Powell wrote his own musical material and handled the regular scoring duties and adaptation of Williams’ Star Wars thematic material for the film. 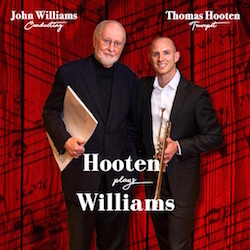 The new theme John Williams has written for Han Solo, which opens the soundtrack album, seems to be more of a composite composition meaning that it collects several ideas for the character into a single suite. The Adventures of Han is definitely old fashioned young hero’s music centered around the main Heroic Han material which opens the piece and leaps forth in the form of a determined fanfare followed the secondary idea, Han’s Searching theme, that has the appropriately questing quality to it, and both are offered several variations in addition to the rapid fire orchestral and brass figures that probably relate to the character’s flying prowess and precarious nick of time escapes. It is a thrilling and energetic piece in the classic Williams style, and I would say yet another worthy entry to his impressive catalogue of Star Wars themes. 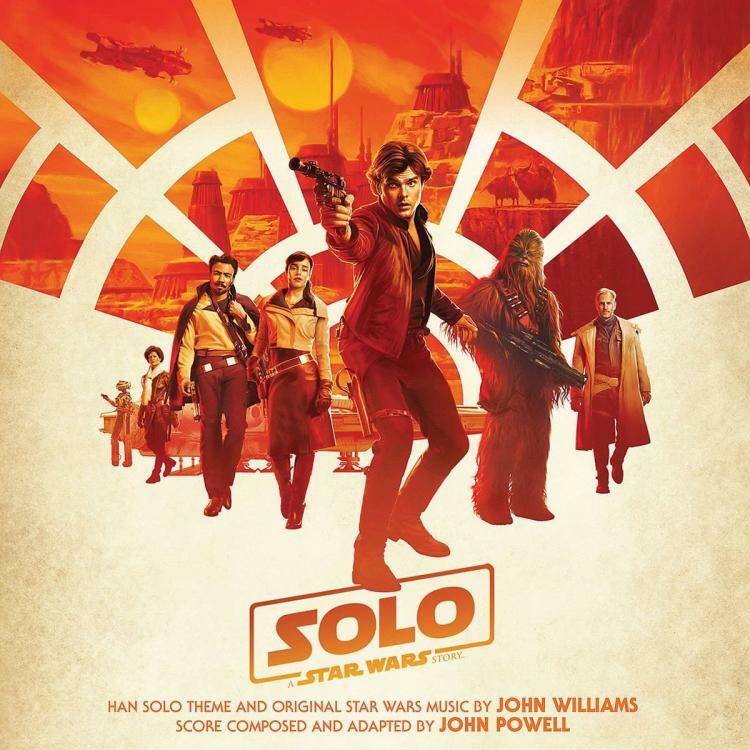 It forms the very thematic heart of the score around which John Powell weaves his several own new themes and integrations of the classic Star Wars themes. 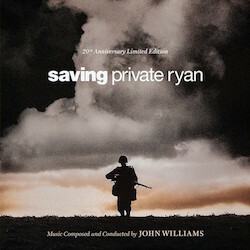 John Powell’s music for the film is thoroughly his own, meaning that while it is written for a large symphony orchestra and chorus there is a definite modern edge to the approach, including the tendency of using synth percussion as the kinetic propelling element underneath much of the action and his think layering of both orchestral and synthetic elements. Yet he does make occasional nods to the classic stylistic orchestral elements of the Star Wars music such as the quick bright brass triplet figures, the excited flute runs and certain chord progressions signifying heroism, wonder and awe. But you can already clearly hear the composer’s more modern touches on the first Powell track of the album, Meet Han, where Han’s Searching theme is offered a propulsive string ostinati and lighter electronic percussion accompaniment. Energy and propulsion seem to be very much in the foreground of the music as the score speeds along, often with frenetic pace to catch all the action thrills on-screen. Corellia Chase is a great example of Powell’s successful adapting of Williams’ theme into the modern orchestral action setting, which certainly conjures vivid memories the composer’s How To Train Your Dragon scores in its breathless soaring fun and seemingly endless energy. Flying With Chewie is similarly rousing and heroic as it introduces a couple of new themes including one for Han’s and Chewie’s friendship, which develops in the latter half into an gentle and expansive percussion-supported statement that again seems like pure Powell in style and execution. Train Heist begins quiet and even tender, but slowly builds to another electronic percussion driven brass heavy action sequence. 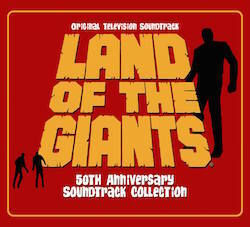 Similarly furious orchestral and synth rollercoasters are Into the Maw, where the composer puts everything in his disposal into giving the action forward hurtling motion and energy full of absolutely frenetic brass material, and Marauders Arrive, which exclaims the arrival of a new theme for group of bad guys, here further characterized by the unique vocal tones of the Bulgarian women’s choir, which gives this loud, driving and oppressively angular and percussive theme excellent exotic overtones. 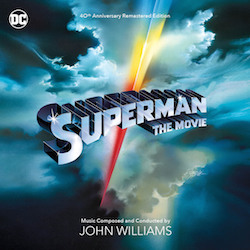 The idea is then developed in bursts throughout the 5-minute piece as it does battle with Han’s themes in another hectic chase full of breathless brass and orchestral explosions. Break Out is one of the tracks on the disc that to my ears hearkens most back to Williams’ style, as it alternates between frenetic and emotional in a very satisfying way. Conscious of the tradition of Star Wars music, Powell also writes a terrific nod to Williams’ use of classical forms in his scores as he presents an almost Elgarian sounding determined fugal march theme for the droid L3 in Mine Mission, which seems like a slightly more playful cousin to Williams’ own March of the Resistance from The Force Awakens. Han’s two themes and Powell’s several thematic ideas are peppered throughout these set pieces and are never far from the action and give the whole score that Star Wars-y leitmotific structure. The loud and often frenetic album luckily also has some moments of respite from the full-throated orchestral and synth mayhem, like the lightly bubbling and humorous Is This Seat Taken, where Powell introduces some subtle thematic interplay that has a knowing lighthearted conspiratorial feel to it. Lando’s Closet fully unveils the love theme for Han and Qi’ra, which slowly burgeons into a traditional grand reading for full orchestra in a very Star Wars tradition. 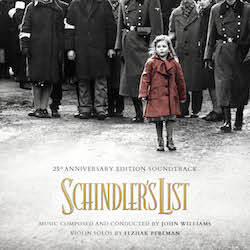 But since this love affair is not to be, Powell finally reduces the theme into an aptly bittersweet strings and piano rendition in Testing Allegiance, before its last strains roar in melodramatic anguish. The Good Guy explores many of Powell’s themes in a quiet thoughtful guise, which is a terrific calm breather amidst all the high octane scoring for space flight escapades and battles. Also worth mentioning is the odd duck of the whole disc, a wacky piece of source music titled Chicken in the Pot which features two voices singing an strange sort of drowsy lounge song in Huttese no less. 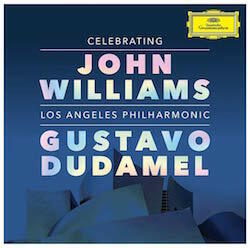 As expected, Powell employs several of Williams’ classic Star Wars themes throughout but in very judicious doses. The main title theme makes several appearances, apparently as a sort of Destiny theme for Han, as Powell himself puts it, and the composer doesn’t just re-use older variations but introduces also several interesting extrapolations of it, as in L3 & Millenium Falcon, where we hear a slow expansive choral driven awe-struck variation midway through the piece. The Rebel Fanfare is also quoted for its heroic fighting spirit in several places throughout, but undoubtedly the most nostalgic moments come in the aptly named Reminiscence Therapy, that unleashes another thrilling 6-minute battle cue that is, for the most part, made up of a whole slew of the classic themes and moments from the original trilogy. Among others we hear the main title theme, Rebel Fanfare, The Death Star motif and Here They Come material from the original film and the famous Asteroid Field flight music from The Empire Strikes Back, which are reproduced quite faithfully in purely orchestral guise, although Powell does pepper some moments with doses of modern percussion, which might give some fan pause. 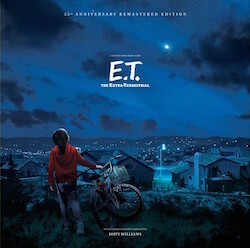 I was initially positively surprised and quite impressed with this music, and the positive impression has only grown after several listens of the soundtrack album. This new addition to the Star Wars musical discography is very much a fun and energetic romp with all the required derring-do and swashbuckle, but it is also a very thoughtfully constructed score. Powell writes with flair and expected dramatic gusto for the source material and his adaptation of Williams’ older Star Wars themes is handled with skill. The new Han Solo theme feels very well integrated into the score as the de facto main theme and it is similarly seamlessly wed with the composer’s own thematic material throughout. But if the score could be said to have a fault, it would be the common issue with many modern blockbuster film scores, namely that it is very frenetic and loud nearly all the time, the composer treating every moment as the most important in the whole film, which leads to overwriting of the material so that it ends up too loud, dense and busy for its own good and results in a rather exhausting listening experience. Less is sometimes more. 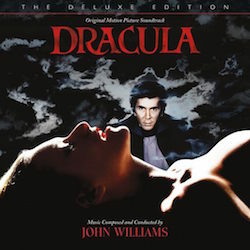 And as I said above, while the score employs a large symphony orchestra and chorus, it is at the same time a fresh departure from the purely symphonic foundations that John Williams has laid down for Star Wars, as Powell brings to the table his more modern sensibilities in style and film scoring techniques that are readily audible from the start. These include his more extensive use of synthesizer elements, constant percussive material to accentuate the drive, sense of movement of the orchestral writing and habit of piling musical elements into dense layers to produce a mass of sound. But apparently Williams was very open to a new musical interpretation and encouraged Powell to write his own music and not be too beholden to what has gone before, and I think he for the most part found a surprisingly admirable middle ground with Solo. I predict that this will also probably be the issue that divides the fans of Star Wars music over this score, as your enjoyment of this music depends largely on your ability to palate integration of Powell’s modern sensibilities and style into the Star Wars musical universe. For my part, I can only say that Solo: A Star Wars Story explores in a terrific fashion a fresh new corner of the ever expanding musical galaxy far far away.